In a study published today in the journal Science, PhD student Leo Otsuki and his supervisor Professor Andrea Brand report the discovery in the brain of a new type of quiescent stem cell (known as 'G2 quiescent stem cell') with higher regenerative potential than quiescent stem cells identified previously. Importantly, G2 quiescent stem cells awaken to make the key types of cell in the brain – neurons and glia – much faster than known quiescent stem cells, making them attractive targets for therapeutic design. "The brain is not good at repairing itself, but these newly-discovered stem cells suggest there may be a way to improve its ability," says Professor Brand. "These stem cells are in a dormant state, but once awake, they have the ability to generate key brain cells." By studying the fruit fly (Drosophila), the authors identified a gene known as tribbles that selectively regulates G2 quiescent stem cells. The DNA of fruit flies has many similarities with that of humans, making them a useful model to understand human biology, and 60% of human genes associated with disease are also found in Drosophila. The tribbles gene has counterparts in the mammalian genome that are expressed in stem cells in the brain. The researchers believe that drugs that target tribbles might be one route to awakening G2 quiescent stem cells. 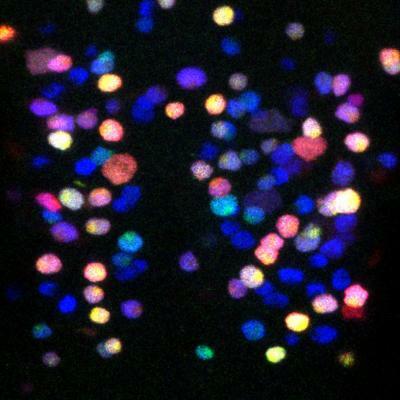 "We've found the gene that directs these cells to become quiescent," adds Otsuki. "The next step is to identify potential drug-like molecules that block this gene and awaken a person's stem cells. "We believe there may be similar quiescent stem cells in other organs, and this discovery could help improve or develop new regenerative medicines." This study was funded by the Royal Society and Wellcome Trust, and core funding to the Gurdon Institute from the Wellcome Trust and Cancer Research UK.